Prior to making an appointment for your vehicle to be repaired, you will meet with our technician to discuss the repairs that are needed and be given an estimate. If the repairs are going to be under an insurance claim, we can assist you in contacting your insurance agent or company to begin the claim process. If you have already contacted you insurance company, you should have received a claim # for the repairs. We will discuss the repairs of the vehicle and send pictures to your insurance company. If at this time the insurance company agrees to cover the damage and repairs, you are then scheduled to begin repairs on the vehicle. If your vehicle is un-drivable, a towing company can bring the vehicle directly to the shop. If a rental vehicle is needed, we will contact the rental office and make arrangements for a rental to be on site when you arrive with your vehicle. Prior to your car entering our shop all necessary parts will be ordered. This will help in expediting the repairs and also make you aware of any issues due to back ordered items. Once your vehicle has arrived for the repairs, it is torn down to be inspected further to ensure there are no ‘hidden costs’ from damage that could not be seen on the original inspection. All insurance claims will be handled directly with the insurance company. If this is not an insurance claim, we will then contact you and explain ANY additional damages that were discovered. We invite you to come to the shop at your convenience to look at your vehicle and discuss the repairs with the technician. Repairs that are not listed on the estimate will not be performed unless we receive the go ahead from our customers. 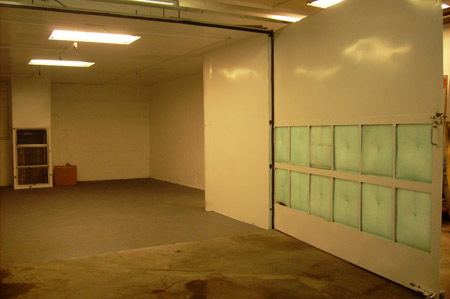 If your vehicle is in need of frame straightening, it is then put on our frame machine. The technician will pull the vehicles frame back to the original factory measurements. We obtain the factory measurements from our computerized measuring system. This is updated every night to ensure that we have the latest makes, models and information of every vehicle. Once your vehicle is returned to the original measurements, we begin to put the parts back onto the vehicle, and the items that are being repaired and not replaced, are repaired. All items that are to be painted are moved to our prep area where they are sanded and prepped for paint. 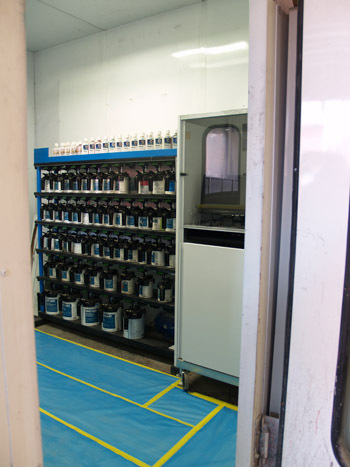 All parts are then taken to our paint booth where the PPG computerized paint matching system matches the paint to what is currently on your vehicle. Once all parts are dried, “baked”, they are placed back onto the vehicle. When all parts, panels, and wiring are placed back on, your vehicle is then washed and the areas that have been painted are hand glazed. If your vehicle is in need of an alignment, it would now be sent to our alignment shop. 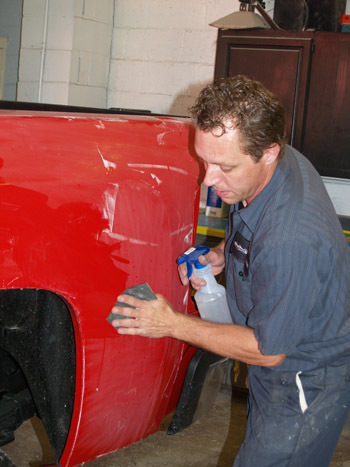 Once the alignment is completed, we put all of the final touches on your vehicle. Any decals or striping is put back on the vehicle at this time. After your vehicle is returned to you, we recommend no washing and waxing for a minimum of 30 days. Paint contains solvents that allow it to be flexible, so that when parts are being placed back onto the vehicle there is no cracking. The paint takes approx. 30 days to dissipate all flex solvents. We also suggest not taking your vehicle to a car wash for at least 60 days, because the water pressure is much greater than an average house garden hose. Throughout the repair process we will call you with any delays or new information. We will keep you informed of how the repair process is progressing. We would like to invite you to stop in at any time to take a look at your vehicle and ask any questions that you might have. We are here to help you throughout this process and to make this the best repair process that you can experience. We look forward to working with you and building a life long relationship.